Construction technology is finally taking root in an industry. For a sector of the economy that is infamous for being slow to accept change, the new innovations are a welcome sight. Investing in the most advanced technologies for surveying and monitoring projects has become essential. Backed by venture capital, tech startups are developing robots, drones, software and other technologies to help the construction industry to boost speed, safety, and productivity. But in the midst of all this technology, there are a few obvious mistakes and opportunities that construction professionals should address. There is a robot out there called SAM, which stands for Semi-Automated Mason. "The machine can lay about 3,000 bricks in an eight-hour shift - several times more than a mason working by hand" according to reports. Another robot is a self-driving bulldozer, "retrofitted with sensors and autonomous driving technology - to grade the earth on a construction site." With reports like these it's easy to see how some in the construction industry might be concerned that an army of robots is coming for their jobs. We get it - that's a pretty terrifying image even by Hollywood standards. Luckily, the realities of technology on the jobsite are far less drastic and far more helpful. McKinsey Global Institute, a research foundation dedicated to analyzing trends in the construction and other industries, reports that "
we need all of the robots we can get, plus all of the workers working, in order to have economic growth. The reality is that, according to the AGC, 70% of construction firms are still having difficulty filling their positions. The labor shortage in construction is nothing new at this point, it's been happening for years. But as workers continue to be hard to find, demand for construction work continues to increase. The Market Research Hub reports that the pace of growth in the construction industry averages 2.8%, with $8.8 trillion in 2016 up from $7.9 trillion in 2012, and it's only growing. This creates a labor shortage that is hurting the construction industry economically. There are lots of projects, and not enough workers to go around. Whenever anyone hears "construction technology" the first thing they usually think of, understandably, is the army of job-hungry robots. But most construction technology actually doesn't look like a $400,000 brick laying robot, or a self-driving bulldozer. It looks like an app on your phone. One of the fastest-growing technology industries is focused on helping the people in the construction industry do more. It's not about replacing and retraining, the main goal of this sector is to optimize what's already there. In other words, it's technology to save workers time. If saving workers time sounds like something you'd like to pursue, then construction technology can help you do it. But knowing where to start is often the hardest part. Do you go all-in and purchase the bricklaying robot? Do you hire a drone service to do flybys of your jobsite, do you hire a dedicated drone operator, or take one of your workers out of the field to train them how to do it? The right answer is none of the above. The easiest place to start is by looking at your firm and identifying where your workers are losing the most time. Not losing the most time doing their jobs, but in the menial tasks that take them away from doing the thing they were paid to do. We've found that in most cases that means filling out reports. On average, Superintendents and foremen spend over an hour each day just filling out reports. It makes sense because they have a lot of reports to fill out - there are time cards, dailies, surveys, and other little pieces of information that need to be communicated. We aren't saying that your firm should just give up on these reports: that would be a terrible idea and against the law in most places. No, all that we are saying is that you can apply construction technology to filling out reports to do them faster and better. 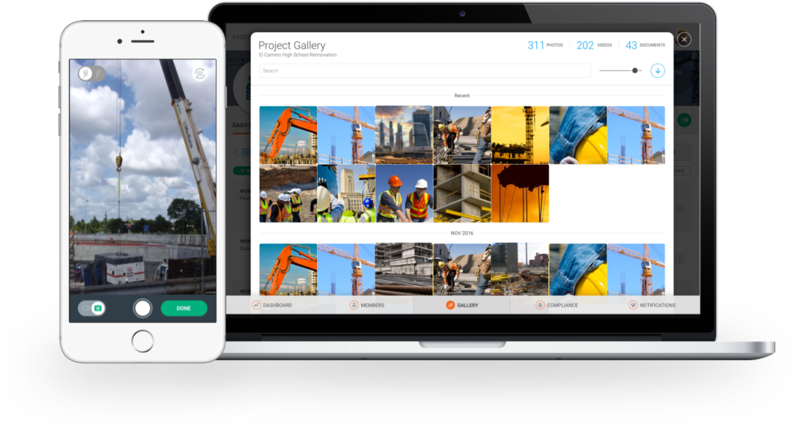 Raken is a technology company designed to do just that: save your Superintendents and Foremen time filling out reports that they would rather not fill out in the first place. Raken daily reporting is an app your Superintendents can download to their smartphone. It was designed with them in mind, which means it's fast, convenient, and incredibly easy to use: no lengthy training sessions. We support anything that supports the masonry industry. We don't stand in the way of technology. If the Bricklayers Union isn't afraid that a Bricklaying robot is going to swoop in and take all of the jobs then hopefully we can put those Hollywood-era fears of robots putting us all out of a job to rest. the goal... is to use technology to take on more work and keep existing customers happy. Berich, like many other contractors in the industry, has had to turn away business because they couldn't handle anymore. Think about the time Berich and countless other firms would save if, instead of the expensive robot (which undoubtedly speeds things up, true) they invested in a simple app that lives on their phone and saves their crews hours a day doing the part of the job they like the least daily reporting. It's a vision of the future Raken is proud to be on the cutting edge of making come true, which is why we're always coming out with new ways to improve the efficiency of the workforce that's already in the field doing the work.